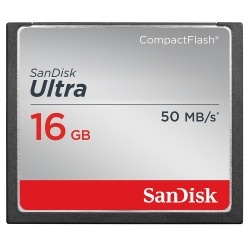 Compact flash memory cards, or CF cards, were the first small form factor flash card and were introduced by SanDisk in 1994. 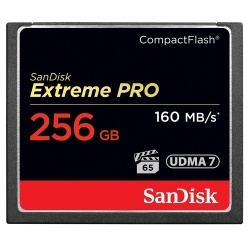 Compact flash (CF) cards incorporate their own controller and are also manufactured by Lexar and Samsung. 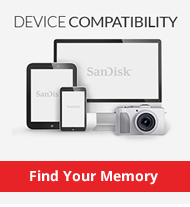 Our range of compact flash cards includes popular brands such as Kingston, Transcend, Fuji, Pretec, Lexar and SanDisk. With the advent of high megapixel digital cameras most brands have introduced a high speed compact flash (CF) card to their range, the high transfer rate (read & write) ensures that the camera saves pictures faster and is quickly ready for the next shot. Hi speed CF cards include: Kingston Elite, SanDisk Extreme III, Extreme IV, Extreme Pro, UDMA Compact Flash (CF) and Lexar Professional 300x Compact Flash (CF) Cards. 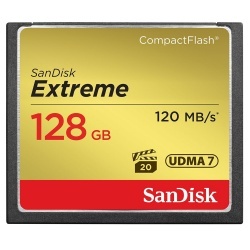 Many Compact Flash cards are rated in speeds and come in standard speeds such as 40x, 60x, and 133x. The X represents the transfer rate, and 1x is equal to a data transfer rate of 150 KiloBytes (KB) per second. Type 1 Compact Flash (CF) Card dimensions: 36.4mm x 42.8mm x 3.3mm and available in sizes 2GB, 4GB, 8GB, 16GB, 32GB & 64GB. Larger sizes such as a 100GB card are due out from Pretec soon.